Over the years, we’ve featured quite a few fantastic upcoming gaming channels in our articles on this site. It’s quite a selection too, given we’ve listed everything from game design channels to remixers and fan game developers alike here, along with all manner of retro gaming outlets and documentary makers. And one of the most underrated of these is Designing For, a channel focused on things certain levels and aspects of games do particularly well or badly. They’ve covered a wide assortment of interesting topics in doing this, from the tedium of Joke’s End in Mario & Luigi to the smart design found in the Kaptain K Rool boss fight in Donkey Kong Country 2 to even a character with loads of cameos yet no game of his own. It’s a unique look at a genre that’s really taken off on YouTube, and one we feel deserves far more attention than it currently gets. 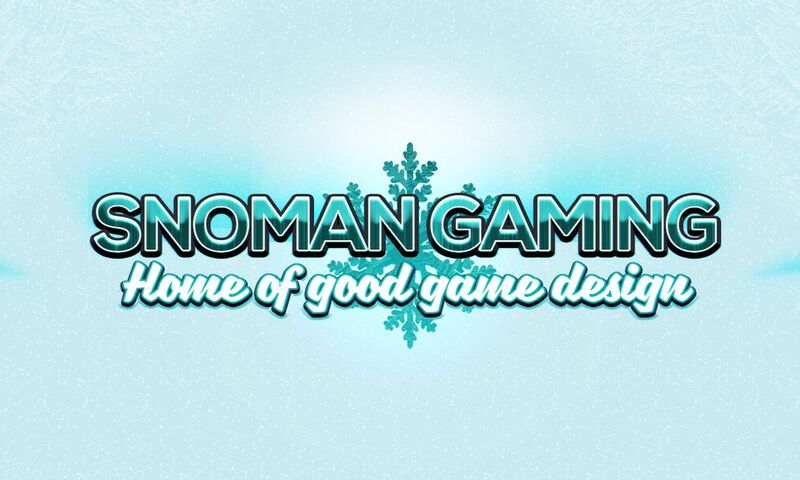 So in today’s interview, we’re gonna see what it’s like running an upcoming game design channel like Designing For, as well as what goes into their videos. Let’s go! 1. Starting with a quick bit of personal info to kick it all off. So who are you guys? Who is behind Designing For? Pyrr – My handle’s Pyrrhickong, I’m the voiceover guy, audio editor, and one of the script writers for Designing For. I came from a mainly theatre-centric background and was trying to break into voice overs (still am – hook up with me, indie devs, I’m good at yelling into a wall!) when Gooms approached me with what would become the first episode of Designing For on Gradius III. We ran a forum game about video game characters fighting each other for a few years together, and I was a video games journalist for the now-defunct site Reaction Time for about a year and a half. Gooms – I’m Goombachi, the guy who started the channel initially. I was originally going to do it all myself but Pyrr has actual experience with audio and voice acting so I think it’d improve the quality greatly to have him on board. I started initially as a sort of a final project for my college major, which was really loose as long as your project had development potential and had something to do with new media like YouTube. Right now I do all of the video editing, most of the work on the channel itself, and write about half the scripts. 2. And where did the name come from? It’s certainly very… straight forward in its meaning. Gooms – Basically, I spent a ton of my time watching people like Extra Credits, Mark Brown, and the like. I enjoy them, and not to call them out specifically or anything, but I noticed that they had a trend of categorically saying “this is good design” or “this is bad design” when really, it’s a lot less open-and-shut than that. One of my college professors said that reviews shouldn’t say whether something’s strictly good or bad, but good for what they’re trying to do or good for this group of people. I applied that to the channel, because I figured there’s an infinite amount of ways to have good design — it just depends on what you’re trying to do. 3. Huh, so there’s actually a neat story behind it. Good point with design not being straight forwardly ‘good’ or ‘bad’ all the time. Either way, what inspired you to start up a YouTube channel about game design anyway? Gooms – That college professor I mentioned earlier told me to just go for it when I expressed doubt for the viability of reviewing games for a living. It’s unfortunately extremely difficult, and it’s not a life I’d recommend for most people, but I’m very passionate when it comes to talking about games. I might like it more than actually playing them these days, heh. Pyrr – Video games are such a huge part of my life. Have been there through every step of my developmental process. Doing something related to game design has been something I’ve always wanted to do, and there have been many half-baked attempts that have never gotten off the ground – heck I still have an old script from when I was a teenager doing a Punch-Out review with skit comedy in the style of That Guy With The Glasses, which was all the rage at the time. I am thankful that Gooms has given me the opportunity to work in a capacity that I’m not cringing at right now! 4. So I’m guessing you took a bit of inspiration from other channels on the topic, like Game Maker’s Toolkit and Snoman Gaming? Gooms – I sort of answered this earlier, but yeah, a bit from Game Maker’s Toolkit and a bit from Extra Credits, What’s With Gaming, Matthewmatosis — basically anyone with interesting things to say. I wouldn’t say any particular ones inspired me, but I watched all of that on the regular, and still do. I’m just trying to continue the conversation and maybe get people to be a bit more open-minded when it comes to different kinds of design. Pyrr – It’s hard not to deliver lines, at times, like influences. Though I try to be different than those I watch, or at least say something differently. KingK and The Geek Critique I watched a bunch toward the inception of the channel, watched a bunch of Extra Credits when they debuted (though admittedly moved toward Extra History when that came out – Ned Kelly is wild). Honestly I think I’ve seeked out more game design channels after starting this up – up-and-comers have to look out for each other, and looking for those gems really helps you find some unique perspectives. Pyrr – Typically, I think about a level or game I like, and I think “why did I like that?” Or sometimes I’ll play a game and I won’t be enjoying myself, and go “why am I not having as much fun/not as immersed as I should be?” I have a big list of dozens of games, and if I figure I can talk about it enough, and really break down what makes that element stand out, I’ll write a script on it. Gooms – Almost every time I play a game, I think of levels from a more developer-focused intent, trying to get into the head of the people making them. Most games could probably have a script written about them, but the ones that stood out the most to me are the ones that I feel compelled to write about. Also I don’t know if you know about those gauntlet programs, where people have to pick one of two options until you reach a final top ten. Well, one of my friends made one of those for video game levels that people nominated, and it’s useful to inspire a lot of discussion sometimes. 6. Why the Nintendo focus here? Did you grow up playing Nintendo games more than those on other systems? Pyrr – Yeah, big Nintendo kid. I owned a PlayStation and PS2 growing up, but I was the only kid who had the Nintendo consoles in the neighbourhood, so I became known for being the one with Mario and Kirby and Pokémon Stadium, and I just kinda took pride in that. So I feel a more intimate familiarity with Nintendo products than I do with other games that makes them easier to cover. With that said, I think that Nintendo’s also exceptionally adept at creating moment-to-moment gameplay – that just comes with the territory of when they started designing games. For us, a level analysis channel, it’s very easy to pluck a certain level or boss out of a game with more segmented design like that. That’s not to say other companies don’t do it well, either – Naughty Dog’s great at it – but Nintendo seem to have a strong focus on core design principles. Gooms – I also grew up with Nintendo predominantly, yeah. I started with SNES and have owned every one of their consoles since. But I would agree that they tend to design things more with specific “levels” in mind which is convenient for our sake — we’re mostly about level design after all, and if you don’t have as defined of sequences it’s harder for any sequence in particular to be especially memorable, in my opinion. 7. Heck for that matter, how did you first get started with games anyway? What was your first game? Pyrr – My mother had an SNES before I was born, so I haven’t ever really known a life without gaming. I can tell you that I am perhaps the one person on Earth that can say “Donkey Kong taught me how to read”. She had the strategy guide, and I would hold it as she played and start to associate the actions she performed in the game with the words in the book. 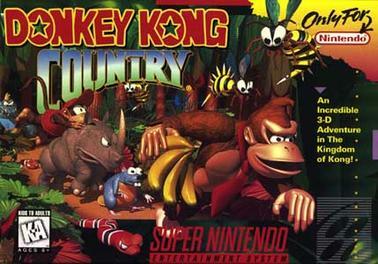 So… yeah I think it’s fair to say “Donkey Kong Country” as the first game, or at least the one with the strongest immediate memory to me. Putt-Putt Saves The Zoo is still a classic, though! Gooms – My first game, or so I’m told, was some baby game I don’t even remember where you just clicked around and things happened, back when I was 2. But as far as things that actually matter, I got my SNES when I was four, along with the Super Mario All*Stars + Super Mario World combo cart. Soon after I got Yoshi’s Island, which is currently my favourite game. 8. Huh, two interviews in a row where the interviewees grew up playing Super Mario All Stars + Super Mario World. Neat. Still, which game really stood out to you? Pyrr – It’s hard not to notice Donkey Kong Country compared to the rest of the SNES library, isn’t it? Something that focuses so dedicatedly on its atmosphere. But I think – and I didn’t realize it at the time but I believe I do now – that the way the levels were structured kept me coming back to it. With something like Super Mario World, a level has one main gimmick and then it’ll be done. You’ll have one long screen where you jump on dolphins, or get through a forest where enemies pop out of blocks through the whole level. I think Donkey Kong Country wore out gimmicks to the point of exhaustion, playing out every idea to their fullest until a level had, like, five or six ways of playing with the idea of “a platform that runs on fuel” or “tires that make you bounce a lot, also the enemies are bouncy too”. Made for a lot longer of time spent on an individual level compared to the other games I was playing. Gooms – The sheer variety of that cart was always astounding to me. I mean, sure, it cheated since it’s just five games that were released before with new visuals, sound, and saving, but I didn’t know that as a kid, I just saw infinite potential. 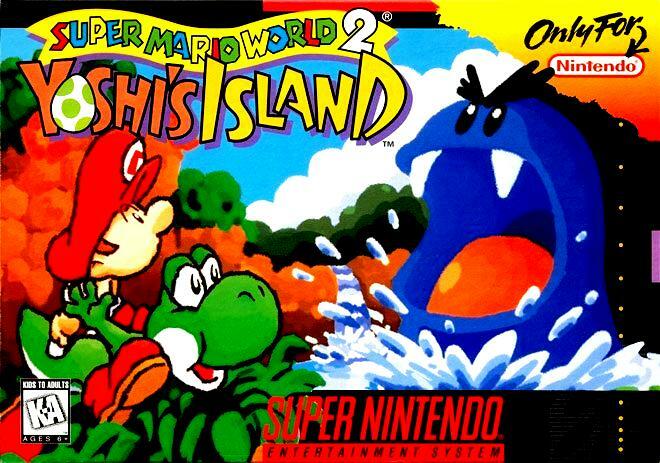 Yoshi’s Island was the first game I ever asked for specifically, for as trivial of a reason as “I like Yoshi” but I really came to appreciate its art style, its unique concepts in every level, its perfect use of collectibles, variety in items and mini-games, excellent theming even if the plot’s weak on the surface, and some of the most consistently good boss fights, even to this day. 9. Did you figure out early on which games and aspects of games were well designed and which weren’t? Pyrr – Oh heck no, I disliked good games and loved bad games all the same, it all depended on my skill level as a kid. But ones that were both good and had resonant themes really stuck out to me – stuff like the Mario RPG’s I started to remember more vividly than the average platformer. I think it was when I was just running around Delfino Plaza in Super Mario Sunshine I realized “wow, I’m doing nothing, but I’m still having fun. Why is that?” But it’s kind of a revelation that comes slowly to you – I think having that kind of revelation is what makes the difference between “growing out” of video games or not. 10. Doing nothing but having fun; that’s something we’ve heard about good games before. Ah well, any games you played them that wouldn’t hold up today? 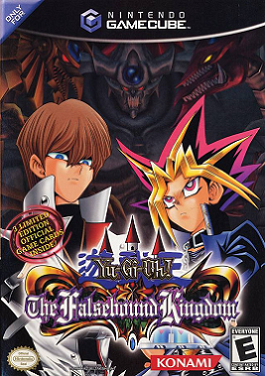 Pyrr – What, you’re telling me that Yu-Gi-Oh: The Falsebound Kingdom isn’t still a masterclass of game design? The nerve! Gooms – It kind of depends on what you’re asking. If you mean “are there games I wouldn’t recommend to people that I used to love” then absolutely — Super Mario Kart is incredibly dated but I have really good nostalgic memories of playing it with my dad. If you mean “are there games I wouldn’t enjoy anymore,” that’s a bit trickier, but I know that Pokémon Stadium has lost a lot of its lustre after trying for days and days to beat Round 2 with Rentals only and making little headway due to all of the RNG. And if you mean “are there games that I think I was wrong for liking initially, I’d say no — my opinions might’ve been less developed at the time, but I don’t really think I was wrong to have them. Except how much I played Gex 2, that game is not great. 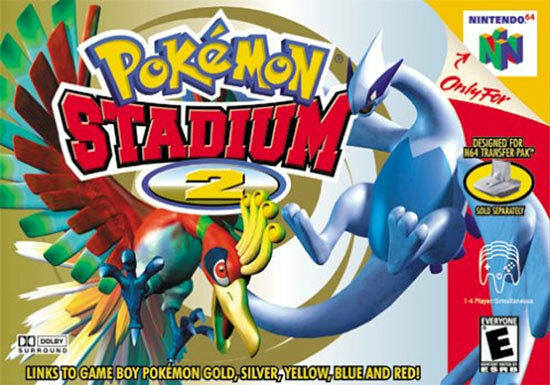 Editor’s Note: Pokémon Stadium 1 and 2 are basically designed to get you to buy the Game Boy games. They’re technically playable without a transfer pack/cartridge, but are designed to be so brutally unfair in that state that any normal player will give in and buy one if they haven’t already. So much so in fact that (as certain online sources point out), the rental Pokémon actually have stats roughly 10% lower than Pokémon of that species and level should have. 11. Any games you think will make a good Designing For episode? Gooms – We’ve tossed around this idea before, yeah. I don’t want to say too much out of fear of setting expectations and not meeting them, but we might get to this topic sooner or later. So many to do! 12. Let’s get onto the games covered by the channel now. Which ones do you feel you did the best job analysing and why? Pyrr – My favourite script I’ve written is Wario Land (Designing For Contrast). Love that one, felt that the differences between Mario and Wario were so subtly placed in the game’s DNA that very few people noticed. The script for that one just kept going, it felt very natural to write. 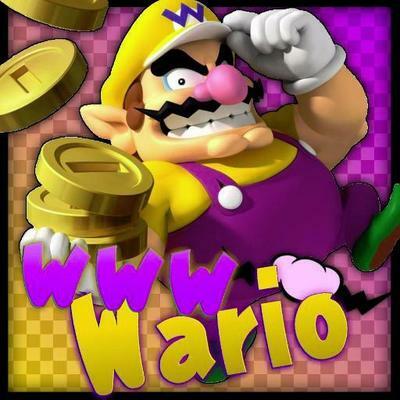 Plus it’s nice to talk about Wario in a context other than “he farts a lot, haha, what a weird guy”. Personally I really love Gooms’ script on Half-Minute Hero’s Cursed Hero (Designing For Shame), too. Emotional resonance through games is incredibly important, and he did an excellent job pacing and structuring that one to be an engrossing read. Gooms – My favourite to work on was Designing For Cameo, the Zubaz one, just because of how I was able to edit a story like that — very fun. But in terms of which we analysed best, I really liked Super Metroid (Linearity), Crash Team Racing (Fluidity), and Mega Man (Overcentralization), just because I felt we had something new and exciting to talk about. Also really liked Link’s Awakening DX (Accessibility) because it was super cool to have the help of someone who’s actually colour-blind to write that script for us. 13. What about the ones you were surprised by? Any levels/boss fights which turned out to be a lot more ‘clever’ or ‘interesting’ in terms of design than you first gave them credit for? Gooms – I realized partway through writing Joke’s End from Mario & Luigi (Designing For Festivity) that all of the boringness might actually be on purpose, just given the name of the level. I completely maintain that that’s no excuse, especially when it fits so poorly into the rest of the game, but I’ll begrudgingly admit that there might at least be some intent there. 14. One thing that seems to separate you from other game design channels is focus; you focus on particular levels, battles and gameplay modes rather than whole games in your analysis. What made you decide on this direction? Gooms – I feel that too many game reviewers look at games in broad strokes, which tends to overvalue certain aspects. For example, a large world always does well in review scores, because it theoretically means that there’s something for everyone to enjoy — right? But when you look at the individual pieces, oftentimes none in particular actually stood out as memorable. A video game is about many, many ideas, often spanning dozens of hours, and I think distilling that into a five paragraph essay is always going to hit the same points about content, graphics, sound, replayability, writing, and control for every game, since that’s all you can really do in that format And not only does this overvalue certain genres, but it undervalues others — at its time of release, lots of people criticized Phoenix Wright: Ace Attorney for not having much gameplay, but that’s not really fair of a visual novel that was never trying to have much gameplay in the first place, is it? Pyrr – It’s not fair to call a whole game “poor” when a specific element could shine so brightly. There are elements of a game that can completely change a player’s perspective, or levels that stand out so strongly that they often overshadow the other elements of a game – The Milkman Conspiracy from Psychonauts stands out, for instance, as the exemplification of its themes, to the point where you hear about that level more than anything else in the game itself. Heck, a single game could do different things well in totally different levels. I think it’s a bit interesting to see a specific point illustrated by a game rather than to just binge a giant retrospective on a game. Both have their strengths – longform retrospectives are very comfortable and long watches – but from a development standpoint, I think breaking it up is a bit more helpful, especially in teaching individual lessons. 16. Good points there. Too many critics assume a game is ‘all good’ or ‘all bad’, without any real pros and cons. Either way, your channel is a bit more light hearted in tone than others, with a more comedic feel overall. What inspired that choice of direction? Pyrr – Robin Williams. Next question. … okay to elaborate a bit more, some of the best lessons I’ve learned are through humour. I’ve done some direction of children’s theatre, and children, by and large, listen to you better when you’re being entertaining as well as informative. I believe that’s true for all age groups, that we’re much more relaxed when a light-hearted element is involved. It helps us take the information to heart more easily, and bridges a kind of personal and human connection between the speaker and the listener. Nothing wrong with purely informative pieces, I just try to perform videos the way that I think I’d most easily learn from them. Gooms – I agree with Pyrr largely, here, so I’ll say something sciencey to sound smart — apparently, dopamine isn’t exactly the “pleasure chemical” it’s traditionally seen as. Rather, it’s a chemical more about learning. And since you get dopamine when you feel good about something or think it’s funny, you’re more likely to remember it. That’s why you see so many TED Talks sprinkle in jokes and stuff. It’s science! 17. Yeah, humour certainly helps you learn better. Still, you also seem to do something else different too, focusing on the bad sides of game design as well as the good (like with the Joke’s End video). Do you feel critics should talk about bad design a bit more in general? Gooms – Bad design can be every bit as much a learning experience as good design. Perhaps even moreso, though I understand why critics shy away from it since its fans feel compelled to defend it and a lot of the more universally bad things are already well-covered. I feel more shouldn’t be afraid to cover these topics, but they have to be prepared to think about them a LOT — probably more than they’d like, considering they don’t like the thing. Pyrr – I don’t think anyone sets out to make a bad game. Even if you’re intentionally trying to subvert expectations and make something that’s mechanically “bad” design, you’re doing so to try to get a laugh out of the audience, or make a challenge for them to overcome. Figuring out what doesn’t work about a game helps others not fall into the same trap, or things that are taken for granted in certain games will be criticized in, say, an indie project. Every game has its lessons to teach, both good and bad. Some just make much better episodes than others. Gooms – Yeah, I’ve completely fallen off of that train, personally. Sticker Star had a lot of contradictory design that’s been well covered, and every new Mario & Luigi seems to get more and more soulless. A new, classic Paper Mario doesn’t seem like it’ll happen again, but you never know — and at least Bug Fables looks excellent, potentially better than any official game after it’s released. Pyrr – I fell off the train when I wasn’t enjoying Bowser’s Inside Story. I still finished the game, but everything felt very going “through the motions” and I haven’t picked up another game since. 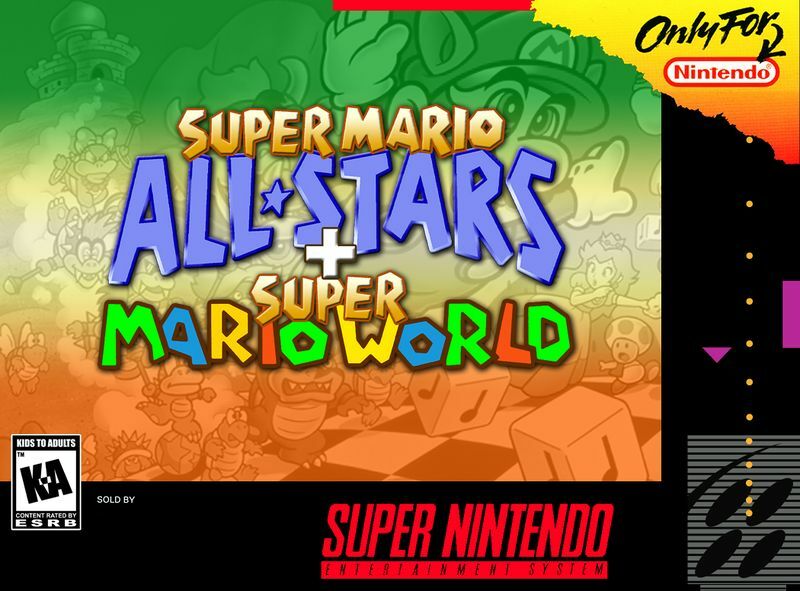 The Paper Mario series seems to be going through an identity crisis, whilst the Mario & Luigi series seems to be stagnating with gimmicks rather than innovations or expansions on the original Mario Bros. concept (though I hear Dream Team was actually pretty okay and I should check it out). I still do like some of the writing, Color Splash has some real laugh-out-loud lines, but they seem to be focused on generating moments more than the fun and wacky worlds and characters that the first few games were masterful at. 19. Are there any other series you think have lost their way a bit (perhaps due to not taking game design seriously enough anymore)? Gooms – Honestly, outside of Odyssey and 3D World to a lesser extent, the Mario series in general in every game after Galaxy. Mark Brown did a great piece on Mario’s four step design, and while he probably thought that formula they use was super cool, for me it feels incredibly mechanical at this point. Every level is starting to feel paced in exactly the same way, which makes the games as a whole very forgettable, unfortunately. Pyrr – I assume we’re not talking the obvious, like Star Wars Battlefront or Fallout or anything done by Rare in the past decade? Mario Party’s become a playground of ideas where nothing that works is capitalized on and the limited balance the series had (laughable, I know, but I believe in it) has gone to die. I would’ve said Pokémon has become iterative to the point where it was too terrified to reinvent itself, just expand upon its pre-existing ideas, but Let’s Go came out and changed that somewhat (still struggles to be truly great, what with the lack of really ‘epic’ moments and Partner Eevee being so damn powerful), so I’ll watch that series tentatively. 19. Still, it does seem game design is generally being taken more seriously now, with even fan games and amateur productions putting more thought into level/boss design than before. What do you think may have caused this change? Gooms – They have a larger audience, and far more tools at their disposal than anyone’s ever had before. With that kind of accessibility, you get people who would’ve sat in their rooms wishing they’d get hired by game companies actually starting projects themselves — and finishing them. They also know though that many other people are trying the same thing, so they’ll have to make their games as good as they can be to stand out from the crowd. That’s where the game designing comes in. Pyrr – Accessibility and the ability to spread things around really helps. We’ve evolved from the days of Cave Story being an homage to a whole bunch of stuff and people falling in love with the amalgamation of a bunch of unique ideas. The internet’s allowed for an amazing support network for new developers to get ideas, feedback, and inspiration, and it’s such an exciting time. We’ve seen genres turned on their heads in every which way, some good and some bad, and so rapidly within the past decade or so. Gooms – From a purely technical standpoint, yes, absolutely, for reasons I said before. But in terms of what’s considered good design — that’s a bit more complicated of a question. A lot of people now have much higher standards than they used to have, which makes it harder simply by how much new stuff they have to learn, but easier in the sense that that information is easily attainable. Pyrr – Ultimately, a team is going to be responsible for how good a game is. Their combined passions, direction, and ideas are going to shape a game into the best product it can be. I’d like to think that the internet’s given a rise to being able to bring these people together and find new perspectives, but channels like ours are just a spark. A team has to add that spark to their own kindling to make this big, awkward campfire metaphor of game design work. Gooms – The increased number is only a good thing for the sake of improvement in the medium. Though I do wish these videos would stop treating design as if it were politics, creating videos in favour or against well-worn topics purely to drive change. I get why they do it, but nothing can get me to click off of a video faster than hearing opinions I’ve heard a million times parroted back at me mindlessly. Pyrr – I agree with Gooms, the added proliferation of videos can only benefit creators. I do recommend looking at multiple different channels in order to get more opinions, and not to take anything as purely “good design” or “bad design” based on one person saying so. Of course, we’re two people, so obviously we’re correct, but that’s beside the point. 22. Okay, onto some last channel questions now. Firstly, did you expect to see your channel grow like it did? Gooms – Not at all, or at least not so suddenly. We sort of got lucky with the timing on our Zubaz episode, since the Super Best Friends broke up right after it went up. We’re hoping now that we can retain some of that spike, and it has already tripled our views and subscriber count, so I’m not complaining. Pyrr – It’s kind of amazing what ended up happening with the Zubaz video. I’d expected it to be received warmly by the Super Best Friends community – they’re a great bunch of folks, all very supportive and fun to be around. But I was expecting 2K views at most, and now that video’s up to over 125K views. It’s a kind of bittersweet feeling since I’ve come to see it as people finding comfort in something familiar after a band breaking up and making an accidental tribute, but already we’ve gotten so many people who have stuck around, commented, interacted with the video – already I’m so happy with the direction it’s gone. I love that community interaction aspect about this the most, I think. Gooms – That’s up to the fans, fate, and the YouTube algorithm. If you want to show support, more than anything just sharing with your friends, leaving comments and subscribing goes a long way. I know everyone says that, but it doesn’t stop it from being true every time. Pyrr – I don’t have as good an eye for YouTube growth as you do, but I’d love to hit 10k by the end of the year, absolutely. I’d love to grow our little community as large as it could possibly get to. I don’t think a channel like this is want for rapid growth outside of a certain video being retweeted by someone really popular or the algorithm favouring an episode in particular, but as long as we can keep interacting with great people, keep discussing games in this way? I’m happy for it. 25. Do you think it could become your full time job at some point? Gooms – That’s what I’m hoping for. To be able to live off of doing what I love is the dream, right? Pyrr – I’d love to be able to do so, definitely! 26. Are there any other channels you watch/support that you think deserve a bit more attention online? Gooms – Tarvould’s Quest is super cool, and was a ton of help in gathering footage with us during the Peach’s Birthday Cake episode. There’s a small channel called The Girl With The Controller that does great analysis of games as well — particularly fond of her analysis of the hub world of Super Mario 64. And I mentioned him briefly, but What’s With Games has a sort of similar but more informative approach to a single concept as gaming, like character movement, HP systems, or driving controls, and I think that focus lets him think more deeply about a concept throughout various games. 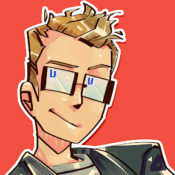 Pyrr – I second all of Gooms’ recommendations – Tarvould, TGWTC, and What’s With Games are all excellent channels, and I can speak personally that the first two are great people to interact with. Otherwise, LiamTriforce has been putting out some great videos, I recommend his retrospective on the Quake series and analysis of Zelda 1 from a modern eye. PostMesmeric has some damn well grounded analysis vids, and his hour-long exploration through Banjo-Kazooie: Nuts & Bolts is something to behold. Duke of Dorks and Daryl Talks Games also have a great presentation style – even when I find myself disagreeing, I find myself enjoying the videos and the ideas presented. Ed’s Note: Oh hey, the Duke of Dorks is that guy who sponsors Source Gaming. Small world eh? 27. Finally, what advice would you give someone wanting to get started on YouTube anyway? Gooms – First, make absolutely sure it’s what you want to do. It’s a proportionately huge amount of work for the amount of profit and/or exposure you’re going to get. Secondly, try to have some kind of niche, and try to carve out new ones whenever you can. No one’s going to care about Joe Schmoe’s Game Reviews, since they already have the Joe Schmoes at IGN to cover that niche for them. Thirdly, make connections. Our biggest bumps by far are when other Youtubers shared our content — relying on the YouTube algorithm exclusively is a huge mistake. And finally, don’t expect growth in any short amount of time. It’ll be a long, arduous process, but that doesn’t mean it isn’t rewarding for a certain group of people. I certainly think it is, at least. Pyrr – Keep at it, even when it seems that no one is watching, and make the content that you’d want to watch. No matter what talents you have going in, your early work is always going to be a learning process. Getting through that, starting that interaction with others, figuring out what works and what doesn’t – those growing pains can be really unforgiving, and you’re gonna have a big valley even after one of your episodes peaks. But, if you’re having fun with it, if you keep getting satisfaction out of what you do and what you’re saying, keep at it. Apathy and inventing distractions are the slayers of many an aspiring channel. Know that it is a slow process, and the odds are against you – but you can do it. Keep adapting, keep learning, take inspiration from others, don’t be afraid to ask for help, and develop the voice that is distinctly you. I… think that’s inspirational enough a note to leave it on? Sounds good. Yeah, sounds good to me. Great advice from both of you for. As Gooms say, connections are more important than ever nowadays, and who you know matters significantly more than what you know in the internet era. So make friends, do collabs with other YouTubers, promote their stuff and work together as a greater whole. That’s how you succeed now. And it’s especially true given that (as much as I hate to say it), discovery is virtually dead in the modern era. People aren’t going outside of their comfort zone as much anymore, and the percentage of people coming across your work in search engines seems to be lower than ever because of it. Indeed, do you want to know a really scary fact? Basically, out of all the channels I follow on YouTube now, I found exactly none of them through search engines. Same goes with basically every other source I follow on a day to day basis. Instead, almost everyone was found through either recommendations from other channels and sites, or (in very rare cases) through automated suggestions on said channels and sites. And I genuinely suspect I’m not alone in that. So make connections. To some degree, your channel lives and dies based on it. Listen to what Pyrr says too. You won’t get anywhere if you give it up easily. They continue to build up their channel over time, build a loyal following as they go, and then usually take off for the same reasons mentioned in A. And it’s a pattern you can see very clearly in our underrated channels lists. Note how many of them were set up years before they took off. How many fought against a broken algorithm for months while only about four people watched each of their videos. Whether it’s Shesez and Boundary Break, Slopes Game Room or Top Hat Gaming Man, their success always came after months or years of uploading videos to niche audiences before they hit the big time. Success is hard earned, and (unless you’re very lucky) doesn’t come quickly or easily. So keep at it, put all your effort into improving your videos and making them more interesting for your viewers and eventually, you too maybe be a YouTube success story. Either way, that’s it for the interview. So what do you think about it? Did you learn anything interesting about game design or how to run a channel about it? What are your favourite videos from Designing For in general? Tell us your thoughts in a comment below, or check out their channel on various social media sites in the list below. Thanks for the interview, guys! Feels great to be considered “important enough” to get one. Here’s hoping that your site takes off as well, you do good work here. Thanks, I’m hoping the site takes off too. Just need to finish the user content posting and social network esque features, and it should be ready for some proper advertising and what not. Also, good luck with your channel too. Again, you do good work there as well, and you definitely need more than 4000 or so subscribers.